Mobile Bingo Bonuses know that for most of you the way to your heart is with a great game of bingo, so when we spotted the cute and fun site Bingo Hearts it immediately caught our attention. 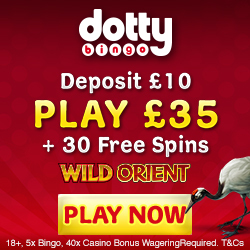 So if your preference is progressive jackpots, instant games, slots and plenty of bingo then they’ve got you covered. Using the incredible Dragonfish software you can enjoy responsive pages and innovative gaming such as the featured slots Fluffy Favourites and Shaman’s Dreams. But when you add in the fact that you can play on your mobile, then you’ll soon realise that you can enjoy incredible bingo when and wherever you like. You simply need a smart phone including Android, iPhone or Tablet device and you can eliminate those boring parts of the day! Registering is incredibly simple and when you’re ready to make your 1st deposit you’ll enjoy a 300% cash match bonus. To give you an idea of what this could mean, if you were to add £10 then you’ll receive £30 bonus credit. This will give you a grand total of £40 to game with, which is plenty of gaming credit. Zodiac Bingo – Join Bingo Hearts for a great game of Zodiac Bingo and whether you’re a Leo or an Aries you could win a share of the £1,111 jackpot. Happy Hour Fun – Every Monday between 16:00 and 18:00 you can play Bingo Hearts happy hour bonuses. During this time all hosted chat games will give away double points and their pub quizzes will have a whopping £5 jackpot. If this wasn’t great enough then you’ll also receive a 100% cash match bonus, on any deposits made during the happy hours (use promotional code HOUR). Grab a Grand – On the 15th of every month buy a ticket for their Grab a Grand Room and you’ll receive 1 ticket. If your ticket is chosen then you could be the winner of a £1,000 jackpot! Sure Win – Again on the 15th of the month play Sure Win at 20:00 and you’ll win a share of £2,500; that’s right everyone is guaranteed a prize. Were sure you’re eager to tell your mates about this great site so why not earn a little bonus for it? For each friend you refer who deposits, you’ll receive £10 bonus credit. Although there is a limit of 15 referrals per month, you’ll still earn a lot of extra credit to keep the gaming fun going. As a thank you for staying with Bingo Hearts, they offer a loyalty scheme where you’re rewarded with points when you play their promotions, chat room games and purchase bingo cards. 1 loyalty point is awarded for every 25p bingo card purchased and for every £2 single-wager on instant games. Points can then be redeemed as additional playing credit for future gaming. In addition to the loyalty scheme there’s also a VIP Club which you join upon registration and can move through the 4 levels, simply by gaming. The levels are updated on a daily basis and the higher you are the bigger and better bonuses you’ll receive. 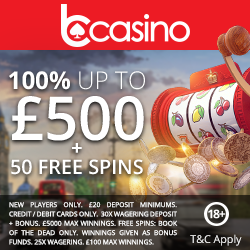 Benefits include bingo and games bonus cash back, bonus spins and tickets to the big £10k game. If you need any support or have any questions, you can contact Bingo Hearts via email and they will endeavour to respond within 72 hours. Banking methods include Credit and Debit Cards, Entropay, U Kash, Paypal, Paysafe Card and Neteller. So if you’re ready for some heart racing gaming, then simply head to Bingo Hearts and we’ll take you through to register and claim your deposit bonus.